Tap That Topeka: Ready, set, sip! Whether you&apos;ve got your tickets or you&apos;ll join us to purchase a GA or DD ticket on-site, here&apos;s what you need to know to have the most amazing time at Tap That Topeka. • According to our friends at WIBW, the weather should hold right at 80 degrees throughout the event and although there is a chance of rain, it is very slim. Dress accordingly to stay cool and wear proper shoes to help you stay upright the entire time. • If you’ve already paid up for your tickets, you don&apos;t have to worry there. Bring some cash just in case: there will be some food trucks on hand and brewer merch available. Most take cards, but just in case. • Be sure to have the UNTAPPD app downloaded to your smart phone or tablet so you can use it throughout the event. TAP THAT TOPEKA is a verified venue and we have gone to heroic efforts to make sure that all the beers represented at the event will be accessible on the app. You will be able to check in and rate the beers that you explore so it will be a great resource both during the event and after. When you check in at the venue you can also agree to receive notifications that will tell you when we&apos;ve all drank a beer out of stock or when anything else noteworthy happens. • Hydration is always important leading up to an event like this. Be sure to drink lots of water and have some on hand for when you get home. Free parking is available all along Kansas Avenue but also in the Crosby Place Parking Garage located at 8th and Kansas and the 9th Street Parking Garage located on 9th Street between Quincy and Monroe. You&apos;ve got two entry options this year: 8th Street just east of Jackson or 9th and Jackson. We have done our best to control line length and organization. If you&apos;ve already bought a ticket, have it (either paper or on your device) out and ready to make the entry process smooth for everyone. There are three lines at each entry: VIP, General and DD/Day-of Purchase. If you need to buy a ticket, make sure you&apos;re in the DD/Day-of line. We&apos;ll sell tickets as long as they are available. We started Saturday morning with 350 GA ticekts. 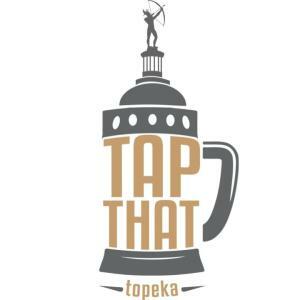 In addition to the over 225 craft beer and cider tastings you will find, TAP THAT TOPEKA will include educational sessions at 4:30, 5:30, 6:30 and 7:30 p.m. Check our website for the full schedule: Tap That Topeka. Five food trucks will be on hand. Big Boyz BBQ, HHB BBQ, PWA, Snoutherns and Taqueria Mexico Lindo will provide your empty stomachs relief throughout the night. Forge members, stop by the Forge tent for your free tacos! Want to sign up for Topeka&apos;s young professionals&apos; organization, stop by the Forge tent, made possible by Heartland Title Services and Schmidtlein Group, Berkshire Hathaway HomeServices First Realtor! Rythym of Oakland will be keeping us rockin&apos; and infomed throughout the event, including the kickoff countdown to announce the start of general admission tastings at 5 p.m.! Be sure to continue using your UNTAPPD app throughout the event to stay connected and keep track of what you love. Get social with us using #TapThatTopeka and #HopCity throughout the day. If you&apos;re having a great time, thank one of the more than 100 volunteers. The festivities don’t stop when the tastings run out! Our pals at the Celtic Fox are hosting an after party with Bryton Stoll and Trainwreck Allie until midnight. The food trucks will move with us, too. We hope we have answered all your questions, but in case we missed something check out tapthattopeka.com for more information and to find a complete list of beers.